This class goes over the safe operation the Omax Waterjet Cutter in the Pier 9 Workshop. The waterjet is a powerful and versatile CNC machine that can cut or etch almost any material from wood to steel to stone. 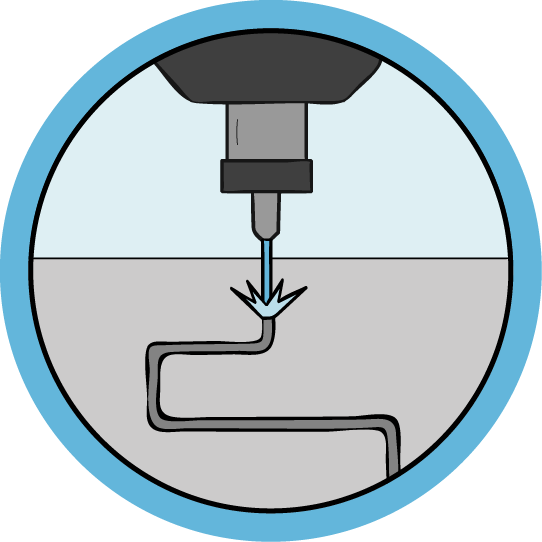 An introduction to the Waterjet. Learn about approved materials and basic safety. Use two types of software to prepare your files for cutting by creating setups, defining stock, creating toolpaths, choosing materials and running simulations. 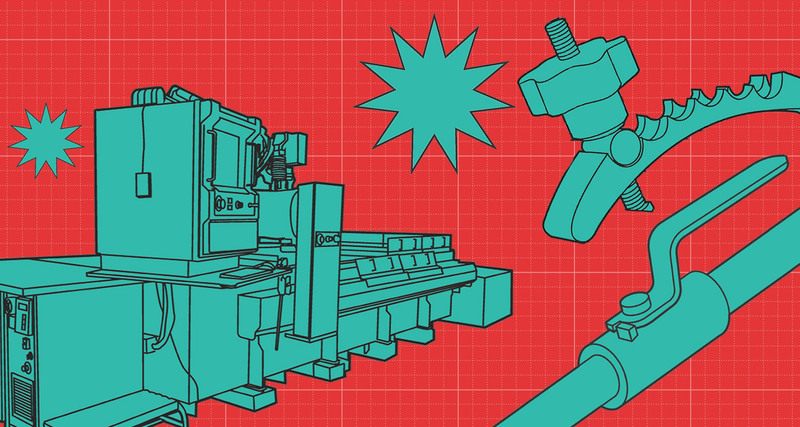 Learn how to power up the machine, load and secure your material, and test your toolpaths before cutting. Perform the final preparations and then use the machine controls to run your file and make cuts in your material. A quick reference review of the correct order of operations for using the waterjet from prep to cleanup, as well as some tips and tricks for the best results. This lesson also includes a free PDF download of this class to use in your shop.